Anyone turbo one of these sleds? 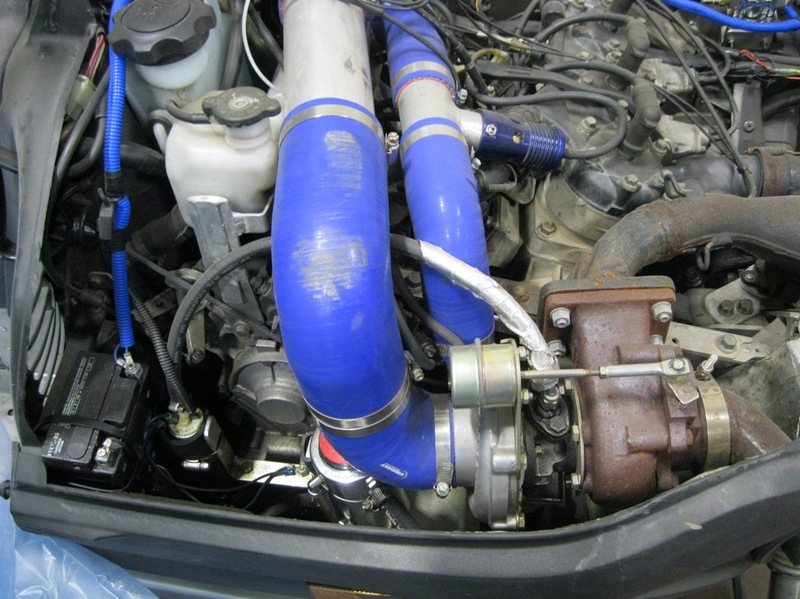 I bought a kit made for a viper but came with an ebay turbo. I'm going to use an RHB5, the engine is a 700cc 2 stroke triple, I have plumbing, airbox, oil and fuel pump already, just need to build a few more parts that the other guy did wrong. Anyone done this before? turbo on a 2 stroke ? you may want to research it a bit more as i dont think its possible. it can be done. do you have a boost referenced fuel regulator? Where are you located? There is a guy in NH near me that is very good with two stroke turbos. He recommends the aeromotive regulator. My understanding is you need a BIG turbo for a triple. I have heard a single pipe will work better too. 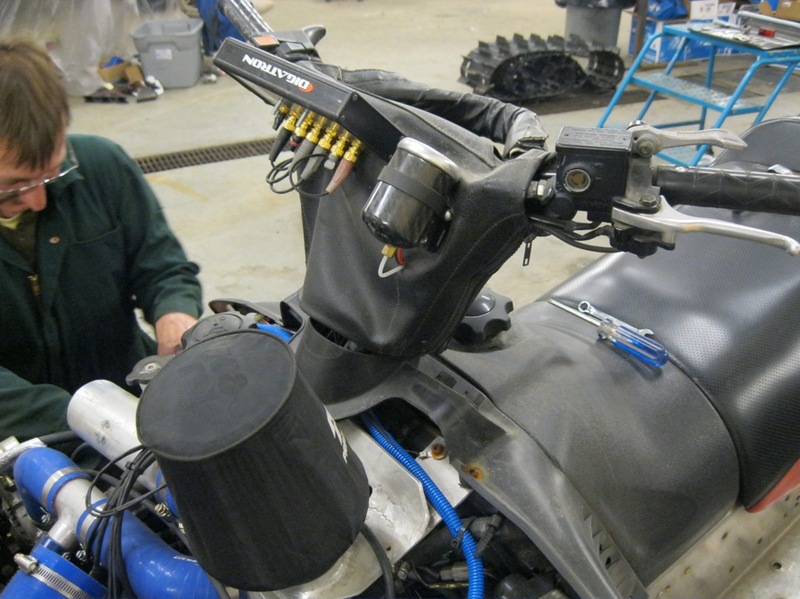 Yes there are many 2 stroke snowmobile turbo kits like boondocker. MCXpress also has built turboed 2 strokes as well, I've only seen one of their setups on line though. I'm located in Canada, I know it's been a while since I've been on this site, I'll tell you what I'm doing though. I need a rising rate reg for sure, that's one thing the guy I got the kit off did wrong, I'll look for an aeromotive. Since I need a turbo lube circuit, I'll need to find out how many amps my stock stator can handle, to run electric fuel & oil pumps, they were included in the setup I bought. I'm trying to think of a way of driving a mechanical oil pump, maybe off the oil injection pump drive, ever seen that done? I won't be using the IHI turbo after all, it's not big enough and is not ball bearing, trying to find a Garrett GT28 from a nissan, their few & far between though for a used one. I've been in touch with a guy in the eastern states that is a retired turbo engineer, smart guy, he's turboed a few Polaris sleds, says triple pipes will work, I have had others say single is the way to go, I'm going to try my triple PSI pipes and see how it works. Any idea's are welcome. what if you run the oil for the turbo off the stock oil pump and premix the fuel? Run the outlet from the turbo back to a small tank and circulate it, not sure if you will need a cooler? MIght not work for trail but I have seen it on race sleds. I've heard of using the oil injection pump for the turbo lube circuit, but it has to be a ball bearing turbo since the pump can't supply volume/pressure for a journal bearing turbo. I've also heard that some guys just fill the cavity on the BB turbo's with a good synthetic oil and change it once in a while, this works because of having liquid cooling for the turbo. 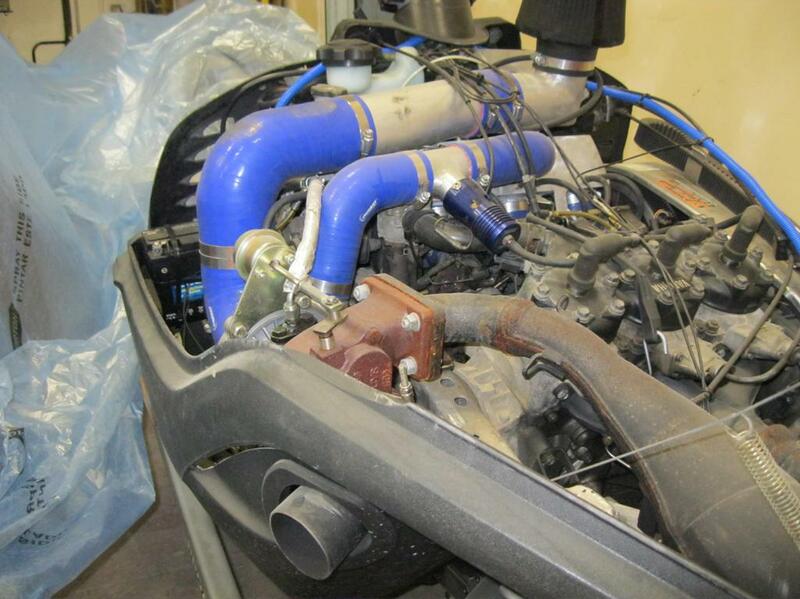 I'm still on the hunt for an affordable turbo, now I've found out that a bigger turbo is required for an engine with triple pipes, I think a Garrett gt2860r or 2871 will be what I need. I'm thinking of picking up a "china charger" since it will only be running 5-7 PSI of boost, a cheap turbo should be fine. Anyone heard of EMUSA turbo's? are they any good? they advertise a "TCB 28 SR" that is advertised as a dual ball bearing unit with similar specs to a Garrett GT2860r however the EMUSA site has no buttons or even a "contact us" link.I guess you have to order from a retailer? Wouldn't be worth swapping in a 4 stroke, might as well just buy a sled with a 4 stroke in it already. I've got almost everything I need so there's no point stopping now. A 4 stroke swap would be way more work, more weight and would need so much modification it would be like building a new sled.